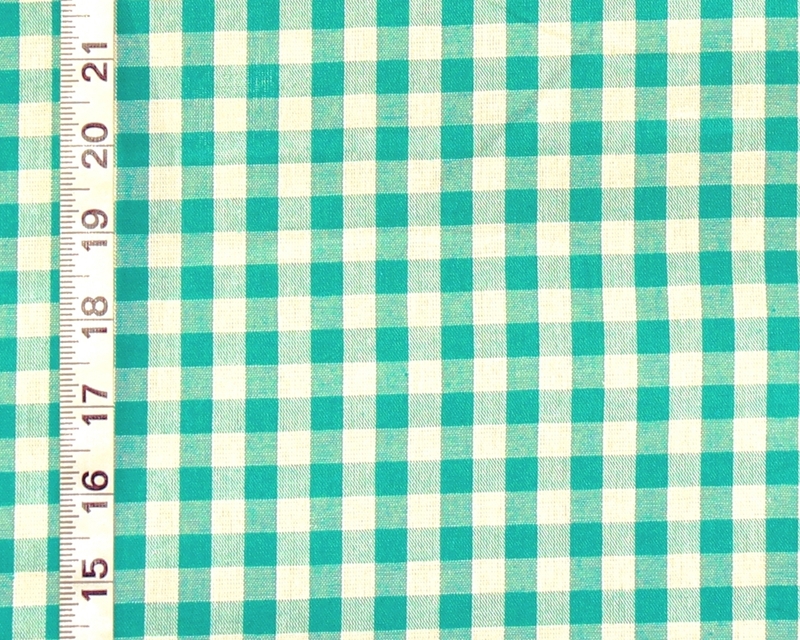 We have three new gingham checked fabrics listed! And the colors are great! 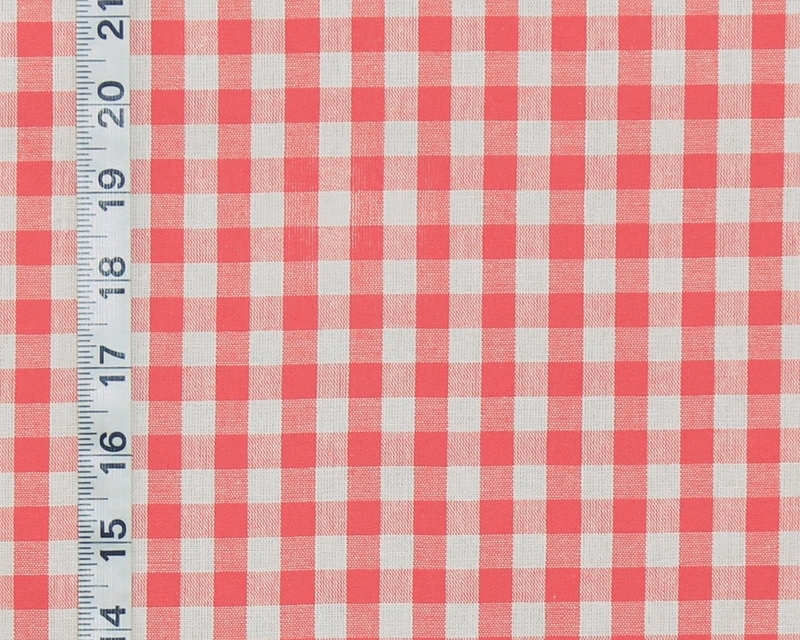 First, take a look at the coral check gingham fabric. This is a wonderful clear tone that is woven of coral orange and white. It has a pinkish undertone, and depending on the light will look more coral, more shrimp, salmon, or rose. We have been asked for a coral colored gingham, but this is the first one we have seen. 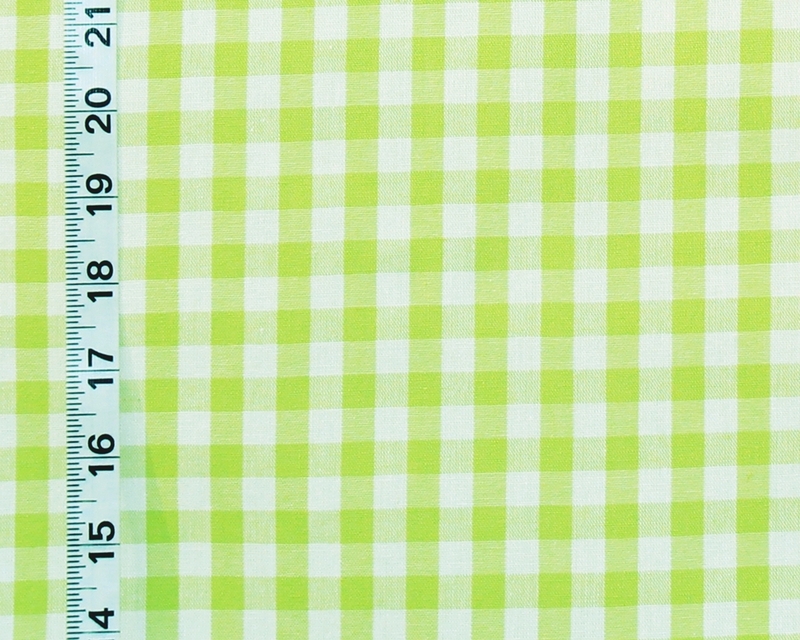 The second new gingham is a lime green. This will look more yellow green or lime, depending on the light. The last new color is a blue green tone, verging on teal. more green, teal, or even turquoise. These are a smaller check, a gingham, with the checks being just under 1/2″ ( 1.27 cm. ) square, which is about the size of the checks we currently have. But these new colors are a breath of fresh air with their clear tones. Please note, these are very light weight, thin fabrics, much lighter in weight and body than the other checked fabrics we carry. While these have a home decorating fabric width of 59 1/4″ wide, these are not suitable for normal home dec use. They would be fine for curtains, clothing, bed skirts, napkins, and quilting, etc.